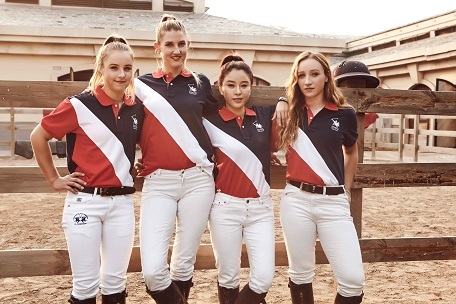 Paris Luo is a polo enthusiast whose dream is to promote women’s polo in China. A pioneer of polo elite education, she founded the 1003 Polo, and chaired the establishment of 1003 Rose Polo School. 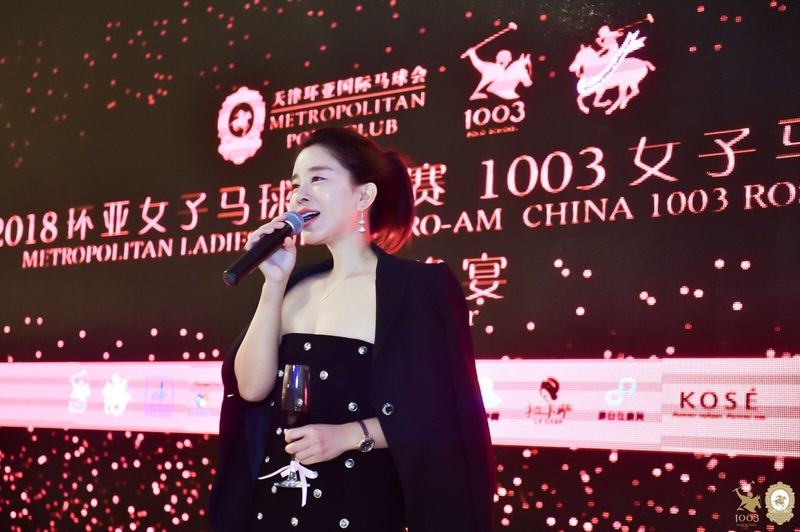 Her story took place in the outskirts of Tianjin, particularly the exclusive Goldin Metropolitan Polo Club which is considered as the largest polo facility in China. Increasingly, wealthy parents now prefer their child to take on polo and other equestrian sports. The 1003 Polo School acts as a platform to promote the polo lifestyle as well as embody women empowerment. 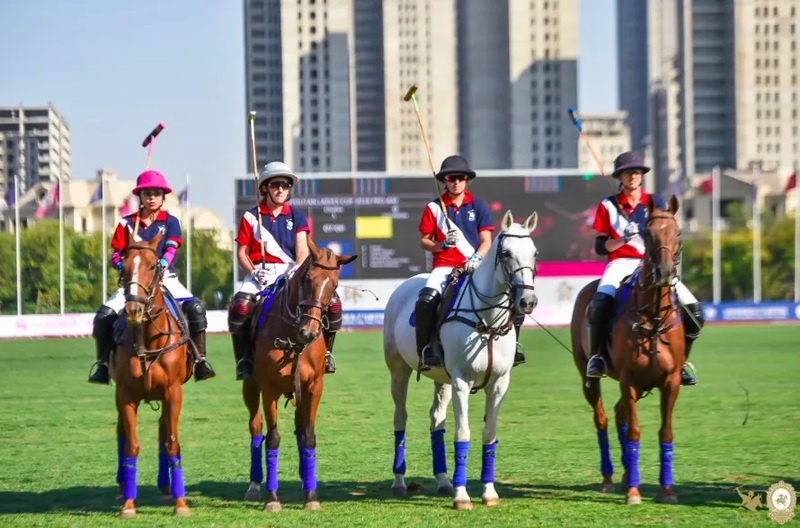 At its helm, the school hopes to equip more female Chinese polo players to compete in tournaments around the world. 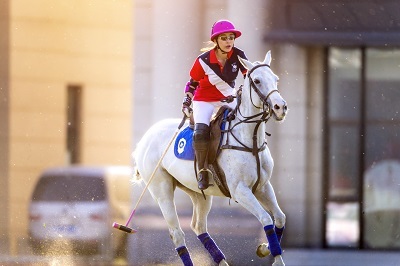 What keeps the women’s polo both remarkable and appealing is how the players are able to strike a delicate balance between exemplifying strength on the field while preserving an aura of grace and beauty off-the-field. The Gala Dinner of the tournament held on Saturday 6th of October featured glitz, glamour and power which was very palpable among the ballroom guests. 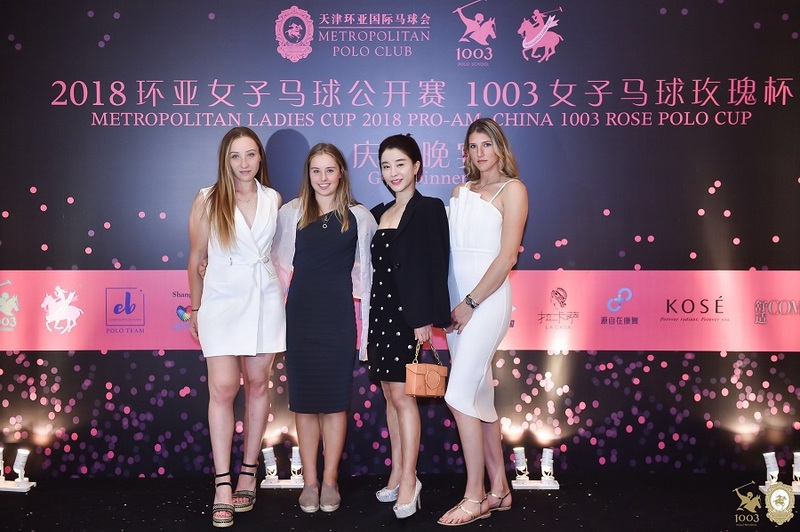 It was truly a fitting way to uphold an elite women lifestyle, and officially launch the 1003 Polo School and 1003 Rose Polo Cup. We were delighted during our conversation with Paris Luo, and she agrees to answer all our questions. Tell us about your passion for Polo. At what age were you introduced to polo? Who originally inspired you to play Polo? I am a polo fanatic. Polo makes me confident about myself and lets me meet a lot of excellent people. The first time I played Polo was at 8 years ago when I was studying in foreign countries. I felt I was out of reach at that time. Then, after coming back to China 4 years ago, I saw Mr. Liu Shilai score a goal at the Beijing Tangren Polo Club. His beautiful shot brought me into the polo world. At that moment, I was truly conquered by the charm of it as a sport. I decided to start learning polo immediately. The conventional way of thinking that polo is an elite sport of the aristocracy and top wealthy people, was taken over by his shot. Tell us something about yourself. Where did you study? I joined and became a member of the Beijing Tangren Polo Club. I also went to Argentina, the United Kingdom, the United States, and Thailand to study polo in my spare time. I met many admirable polo players during this time. They are world’s top elites, and furthermore interesting souls. They opened a window for me and allowed me to see that cultivation of skill and modesty are always behind the ultimate excellence. Please tell us what your schedule is like. How do you spend a normal day? I will keep running, reading, learning, and promoting polo every day. Polo needs dynamism and strength. On other days, I like to play the cello to calm myself down. I consider music is another sustenance for me. What do you like doing on weekends and spare time? What is it that you like doing other than playing polo? In my spare time, I like to play polo with my friends, visit art exhibitions or participate in various soiree activities. I like talking to friends about career and life in general. How different was it playing polo when you were young as compared to now? I usually combine practicing polo with life and work because I am operating a business now. For example, if I encounter some problems in investments or business operations, polo can give me the answer when applying the same logic. As I become more mature, I pay close attention to the strategy, because polo needs not only physical fitness but also logic and overall arrangement. Where do you usually practice polo? How many ponies do you own? How rigid is the training? Now I spend more time to practice polo in our 1003 Central Asian Women’s Polo School in Tianjin. I also go to clubs around the world to communicate and learn polo through competitions at the same time. I don’t have many horses, though. I am confident of the staff from the club who has professional foreign and local trainers that train my horses very well. What started the idea to establish the 1003 Polo School? Who are the potential students? In what way do you encourage more women to enroll? 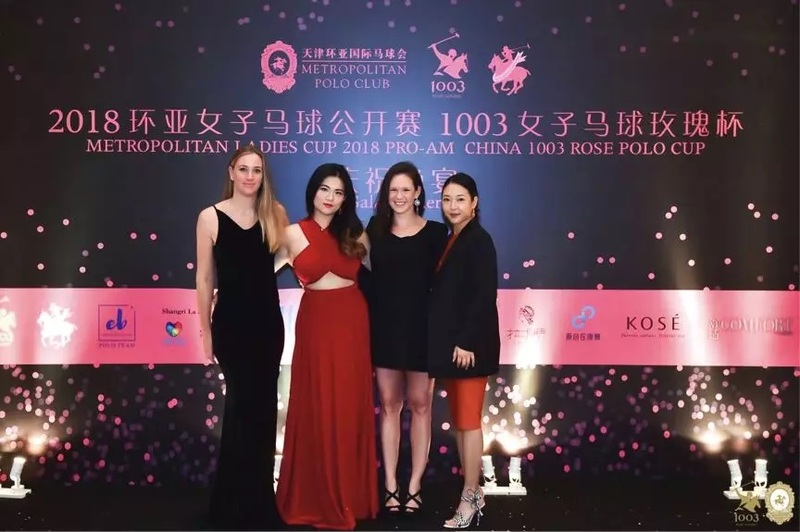 In order to popularize Chinese polo and Chinese polo traditional culture, we hope to attract more elite women and elite adolescents to experience an international elite education via the platform of the 1003 Central Asian Women’s Polo School. Elite women and elite female children are our potential students. Those who have the ultimate pursuit of themselves, and who are eager to develop and succeed. Elite entrepreneurs, and successors of the family business are also our potential students. Polo can let you understand yourself better and be not afraid of anything in life. It also allows you to be understanding of others and love them as they are. Why advice does you have for women who are taking up the sport? Polo is a sport that tests your willpower and determination. I hope women enjoy riding horses, get a sense of teamwork and continue playing polo. Do you play in purely women tournaments or both female and male? What do you prefer and why? I involve in both purely women and mixed polo. 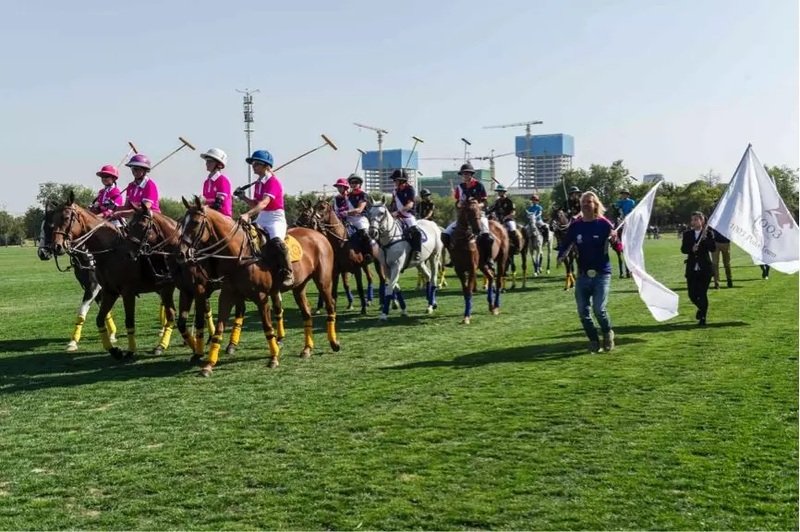 Polo competition has more male players and more mixed players in normal competitions. That is why the team with all female players is extremely wonderful. 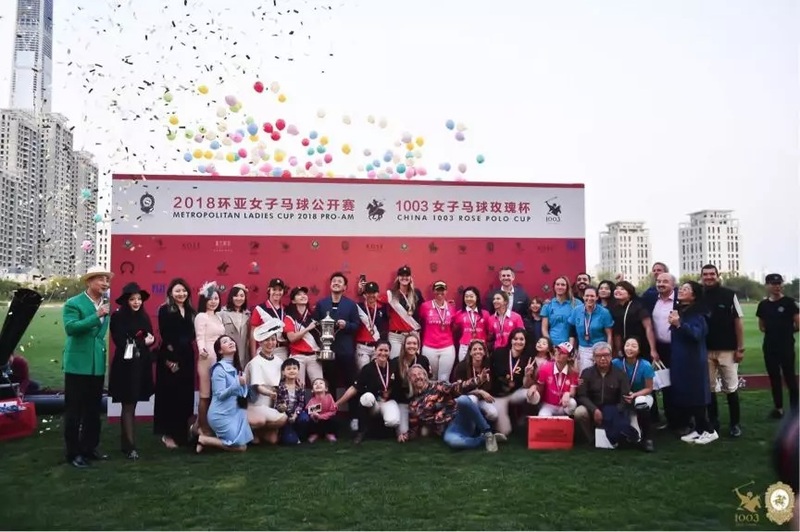 Just like the international women’s polo match we successfully held, 1003 Rose Polo Cup, has gathered excellent female polo players from all around the world. Actually, I like to participate in both, as each of them gives me different experience and feeling. Female players show their power with the slower tempo and they pay more attention to team cooperation. Mixed players competition has a higher tempo. At the same time, it lets you prove to others that what men can do, women can do as well. What do you think about Women Entrepreneurs? I think that women entrepreneurs need to understand how to act out the role of different personalities. You can be a resolutely strong lady when managing your business. At the same time, you are a woman who loves the simple life with your family. I think, in that way, you get to fulfill different roles and make your life colorful. How do you see 1003 Polo School in few years from now? What it is that you want to achieve for the school? 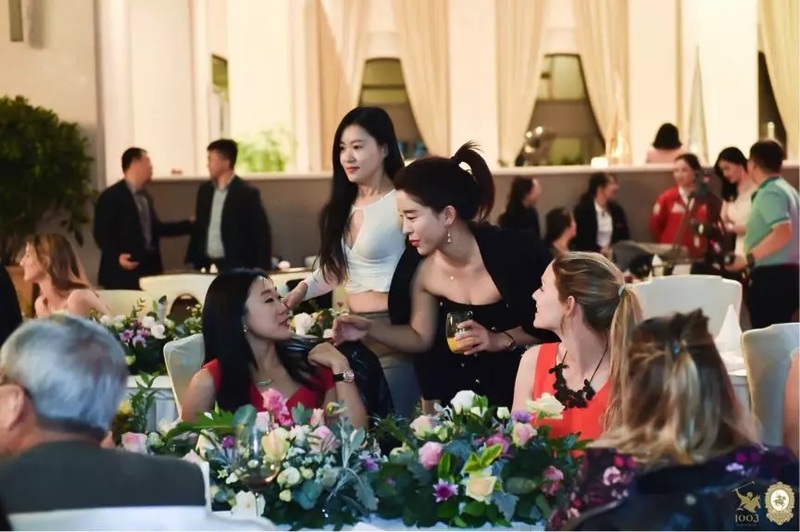 I hope that through the women’s polo school, there are more elite women who get to know polo, participate in polo, and learn polo, and more Chinese gain the respect from the world on the international arena. I hope that there will be more 1003 Polo Mini Clubs & schools in China in the future, so that more people can participate in such sports. What dreams do you still want to conquer? I hope that young people in China can play in the Queen’s Cup in the UK through the 1003 Polo as the first Chinese team. Tell us about the principles or motto that guides you. Live intensively and hard work. What is your plan for the upcoming months and the next year? I will focus on the training programs of the first women’s polo players, and the plan of Oxford Polo Entrepreneur Study Tour. Encourage more people to participate in polo. 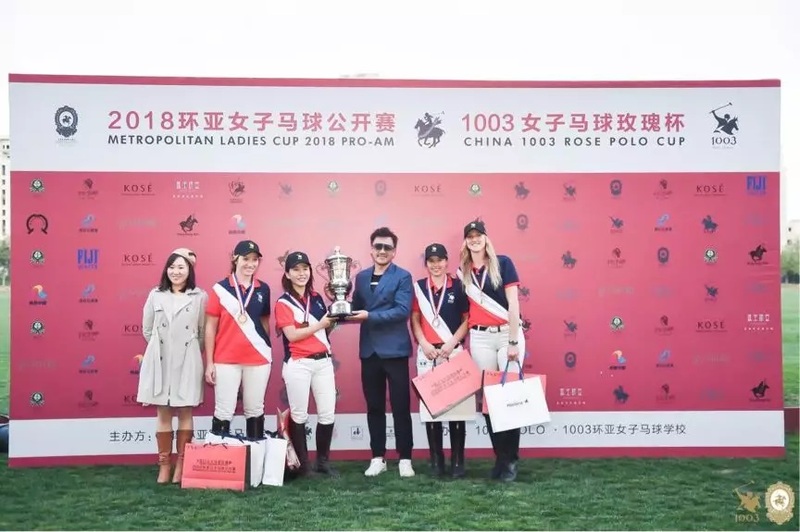 I will continue to create the International Women’s Polo Rose Cup event, promote the polo sport in colleges and universities, and hold the college polo league match next year. Thank you Paris for agreeing to interact with our publication and sharing this part of your life. You really have brought a new spirit and impulse to the sporting elite in China. Your comments are a motivation for many other women willing to reach higher goals in their life. The challenges ahead and your ambitious plans have got us eagerly waiting to see what is in store for you and 1003 Polo School and your other projects. We will be excited to hear about them in future and we wish you a successful career.